2 Beds 2 Baths 1,684 Sq. ft.
Investor Alert! 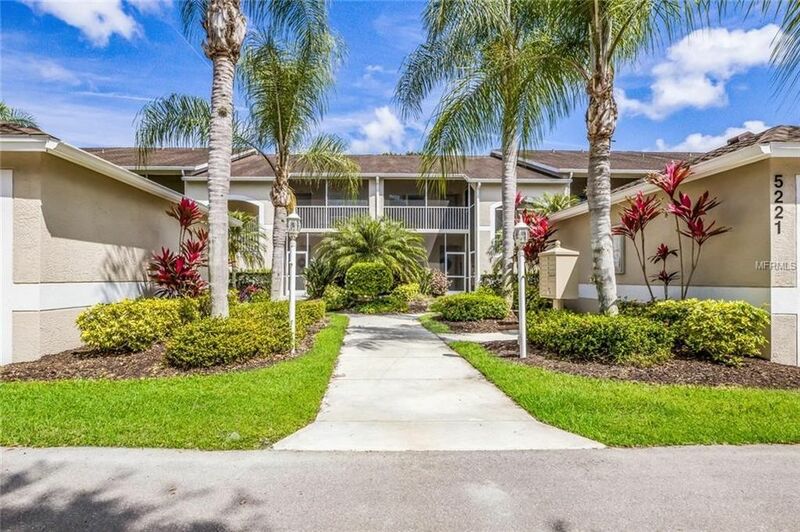 This second floor end Abbey Veranda unit is located in the reputable Heritage Oaks golfing community overlooking the beautiful 18 hole golfing green. This unit is in pristine condition and is being sold turnkey furnished for an easy move or to quickly get your tenants in. Enjoy the expansive private screened in front porch as you enter this 2 bedroom, 2 bathroom condo with a den/office featuring high volume ceilings with a split floor plan. The master bedroom features an en suite bathroom with a walk in shower and garden tub. Relax on the screened lanai overlooking the lush greenery of the golf course. This unit includes a 1-car garage with guest parking nearby. Residents have the opportunity to enjoy the brand new Ron Garl designed golf course, 5 heated pools, 4 lighted Har-Tru tennis courts, the beautiful Pro Shop built in 2015 and a popular fitness facility with state of the art equipment. Members have access to golf workshops, meeting rooms, a library and professional staff to assist at every turn. Check out the popular clubhouse and restaurant, the 19th Hole Grill Room & Lounge. Heritage Oaks is a Certified Audubon Sanctuary with over 50 acres of Nature Preserves. This community is an exclusive 24-hour guard-gated community. Close proximity to famous Siesta Key beaches, shopping, dining, quick access to The Legacy Trail and sought-after school districts. Bring your golf clubs and come live the Florida dream! Directions: From I-75 exit 205, head east. Turn left onto Lorraine Road. Enter via front gate off Lorraine Rd. Turn left on Mahogany Run Ave and follow to the end of the complex. Look for garage #221 on your right.